Feel amazing with a plantbased diet! Lisette Kreischer is the author of a lot of famous Dutch Cookbooks with plantbased food, she is foodstylist, an ecopreneur and co-owner of The Dutch Weed Burger! She leads an Ecofabulous way of life and she says:” I feel amazing!”. Are you totally Vegan? In other words, do you not only eat vegan but chose veganism in your clothing and shoes too? And when did you start this? I prefer not to call myself vegan, because I don’t want to start a discussion, which happens so often with all “-isms”. The fact that I eat completely plant-based is what I want people to know. The fact that I won’t wear leather or wool is not related to that. A conversation will change completely if you mention you’re vegan. When I was 20 I started eating completely plant-based and I’ve never stopped doing that, I’m 32 years old now. I rejected meat when I was 10 years old, but for years I only ate potatoes, vegetables and a vegetable burger, and I started to dislike it. At first I still ate cheese, because I had no idea what actually happened to animals in the dairy industry. Then I only ate vegetarian cheese (without the rennet coming from the stomach of a calf) but after I looked deeper into the dairy industry I also stopped consuming dairy. I helped my mother create delicious vegetarian meals and I developed a lot of new recipes. You chose Styling academy to help you find your vision in starting your own company, right? Yes, because I wanted to do something to support the earth and something good for my own body. Around that time I was successfully organizing 100% plant-based High Teas. I loved making vegan clotted cream and dressing up these High Teas with cute vintage accessories. The way something is styled and the whole experience is very important to me. “Enjoyment” is the key word. When I finished high school at 18 I started at the Styling Acadamy, because their Mediadesign and Styling training suited my needs of what I wanted to develop in the future most. Even then I was headstrong and I didn’t want to work for anyone else. What made you write ‘Veggie in Pumps”? During my training I developed a project called ‘Veggie in Pumps’ for a woman that can be eco-fabulous without it being harmful to man, animal and nature. 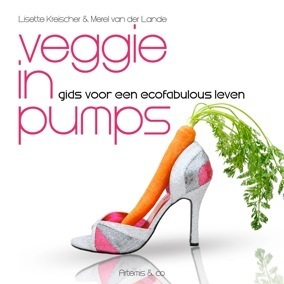 My graduation project was noticed, because afterwards Artemis & Co (a publisher) asked me to write a book about “Veggie in Pumps”! It was perfect timing because I had already developed so many recipes together with my mom! The team working at this publisher is very skilled and very nice! They’re like my family and I feel so supported by them. The book “Veggie in Pumps” became a huge success and they also published all my other books. My latest book “Plant Power, reach your natural weight with plant-based food” is set to be released at the start of 2014. It’s going to be a very big book filled with daily recipes. It’s a bulky, colorful manual to integrate plant-based recipes into your life. I give tips and advice, and 7 breakfast-, lunch- and dinner recipes every season to experiment with. I want to inspire people and for them to know the ropes on how easy and fun this powerful way of eating is. I want you to experience the possibility to find the weight that suits you and your body best through plant-based eating. The design of your books looks fun, how did you manage that? All credits for that go to Studio Ping and Shapeshifter. They are amazing at what they do. They’re two superfun girls, both vegetarians, and they’ve done the styling for me for years. I think that styling is really important, I want to show people that plant-based food is a treat and can look good. The look and feel is just as important as the taste. What made you use seaweed in your recipes? I was approached by Doctor and underwater photographer Dos Winkel. He saw how bad the underwaterworld is doing, and together we want to inspire people to not eat fish anymore. The ecosystem of the oceans and seas has been badly affected because of commercial fishing. In 2020 there will be no edible fish left in our seas and oceans. Dos Winkel and the Sea First Foundation want people to enjoy fish free meals, but with the taste and nutritional benefits, like omega-3, of fish. Showing people that it was cool not to eat fish was my challenge. That’s how “Non*Fish*A*Li*Cious” was created, with 50 delicious briny recipes containing seaweed. Somewhere along the way I, like so many others, fell in love with seaweed. 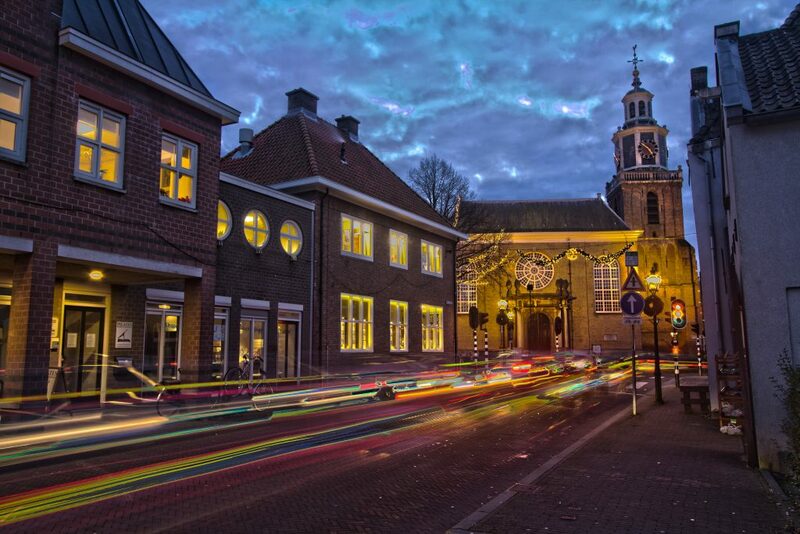 I came in contact with professor Willem Brandenburg from the Wageningen University. He started the first “Zeewierderij” (seaweedfarm) in the Oosterschelde and he is doing research on the use of seaweed. He told me, with sound scientific proof, that seaweed is the food for the future. It has the same protein combination as meat has, but is easier to absorb for the body. My passion for seaweed only grew because of this. When I had written my books I was ready to reach the masses with plant-based food. How was the Dutch Weedburger originated? 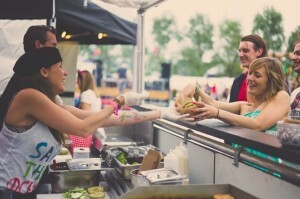 We decided to make the burger and we handed them out to people in New York. It became a huge success and when we came back to The Netherlands we really thought that we should introduce the Dutch Weedburger (of course the name is also a cheeky reference to our Dutch Weed culture). Together with the restaurant Burgerz we developed the burger. It has a wakame-salad topping, 15% Dutch seaweed and soy, and the bun also contains algae! 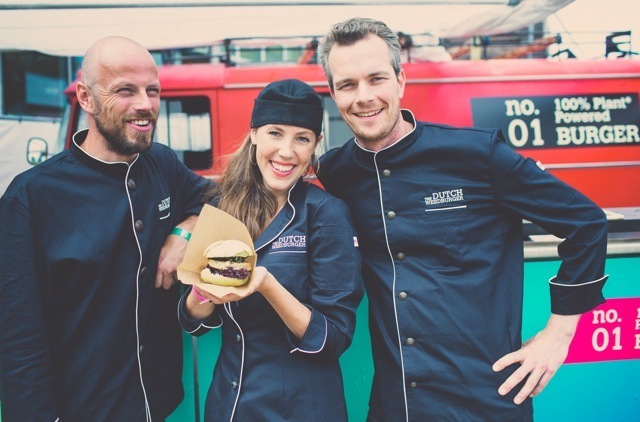 Has The Dutch Weedburger unchained a revolution? Yes, I like to think so. 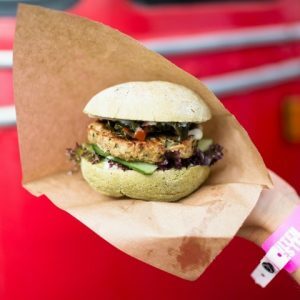 The ‘wierderij’ was also able to open because of The Dutch Weedburger, en not too long ago there was a big Seaweed congress, where it again became clear the seaweed is going through some changes and will be playing a big part in our food in the future. More and more people think that seaweed is the new food source of the future. Scientists and commercial organizations confirm we are at the dawn of something big. Where can we get The Dutch Weed Burger? The burger is now available at more than 15 restaurants, like Burgerz and at highway restaurant chain Hajé. The sale of the burger is immensely successful and we couldn’t be prouder! Have you noticed that a plant-based lifestyle supports your physical activity? I feel amazing! My physical state is great and I’m strong; I can lift a lot and stand for long periods at a time. I’m never tired and I work all day. People ask me “Will you be able to keep this up?” but I love being active all day. I don’t have backpains. Of course I watch the way I divide my energy; I’ve been practicing yoga for a long time and I meditate. I do build in some quiet time for myself every day, but that is what keeps me fit and energized. Relaxation is essential, but so is enjoying myself. I wouldn’t feel right if I wouldn’t practice what I “preach”. It’s like training, because you have to continuously find your balance and keep testing your own statement. You’ve become very successful, does it ever frighten you? What dreams do you have left? I’m so thankful for all the opportunities I got and still get and for the amazing Weed-team that I work with. Sander de Jong, Mark Kulsdom, Harry Kreischer (my dad), Aart Jan van Dijk, Joost van Beek, Roos Rutjes, you guys are my heroes! We are constantly celebrating because we are so thrilled with the amazing results we are getting from The Dutch Weedburger. In the future I hope to own a big farm which is totally self-sufficient in a beautiful place somewhere in nature. It could be a place where we could develop beautiful new products. Guests can stay there and learn new things under the supervision of experts, which I can be one of. Love this thank you. I really enjoy all your posts.